I made it to Sydney! I have unpacked and am settled in to Antonia's house. Antonia is my Australian friend who I met while volunteering at an orphanage Chiang Rai, Thailand. Two of her guy friends live here as well, Will and Harry and my friend Ashley from Seattle will be moving in. The house is in North Sydney in the Greenwich neighborhood. 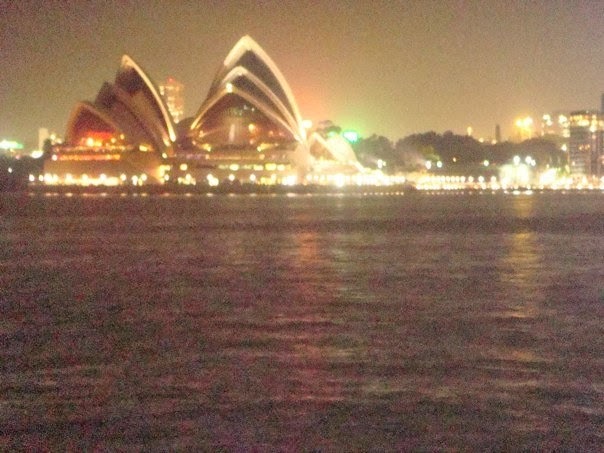 Last night Antonia drove me down to the Opera House and I was totally star struck. It is amazing.